They are part of the next generation of leaders in the Buffalo Niagara region, filling top roles in health care, banking, development and manufacturing as the local economy accelerates its transition from the old economy to the new. Some are new to the area, bringing with them an infusion of fresh ideas. Others are natives, with a keen sense of the region's past and its long struggles. Each of these up-and-coming leaders is in a position to help sway the direction of the Buffalo Niagara region. Here is one; click here to see the rest. 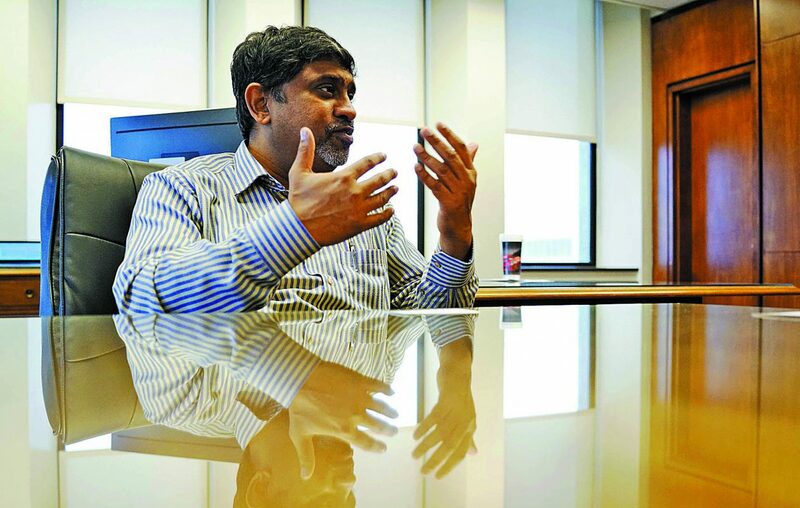 Ram Ramanujam has built a career at General Motors. He started with the company in 1989. The latest stop on his journey: plant director of the Town of Tonawanda engine plant, which has more than 1,500 employees. Ramanujam started the job just over a year ago, after Steve Finch retired. The Tonawanda plant has established a reputation as a cornerstone of local manufacturing, where management and United Auto Workers Local 774 work together to keep attracting new investment. Ramanujam is leading the Tonawanda plant at a time of sweeping change at GM. The automaker last year announced some plant closings and salaried workforce reductions. But the Tonawanda plant has rolled on, capitalizing on investments announced in 2016, producing a more fuel-efficient V-8 engine for the Chevrolet Silverado pickup truck. Ramanujam brings a wealth of GM experience to the job, but also an interesting personal background. He is a native of India who grew up in North Africa, and earned a mechanical engineering degree in India. He has an MBA from the University of Michigan, and a master's degree from Clemson University.